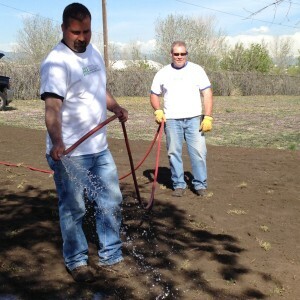 Watering in new Buffalo Grass plugs. 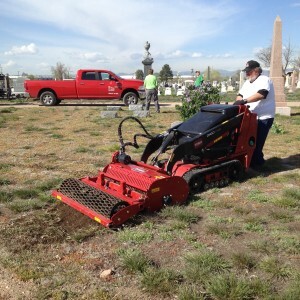 L. L. Johnson Distributors provided equipment to make the work go faster. 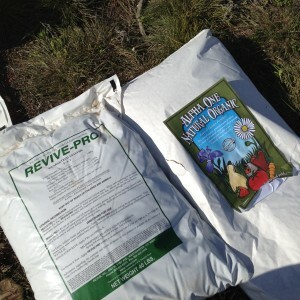 Products were donated by Revive and Alpha One Fertilizer. 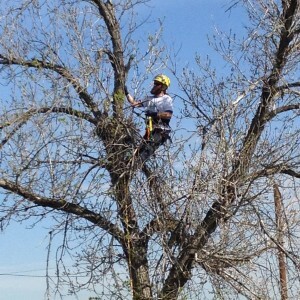 Davey Tree Expert sent 3 tree crews to remove dead trees. 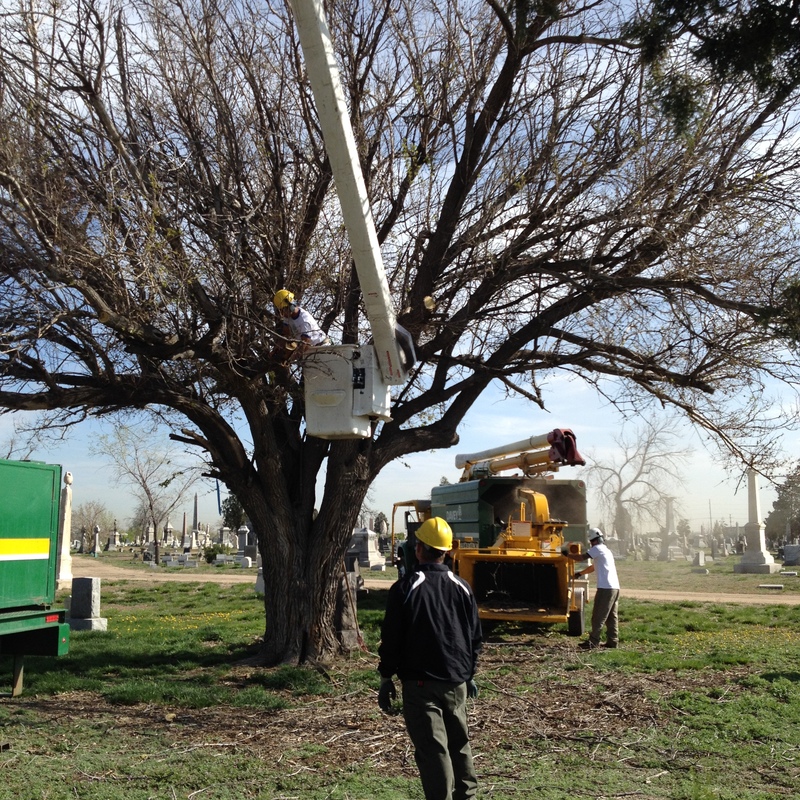 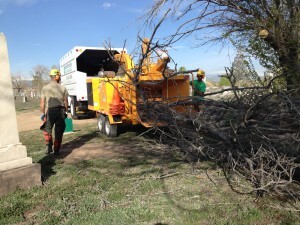 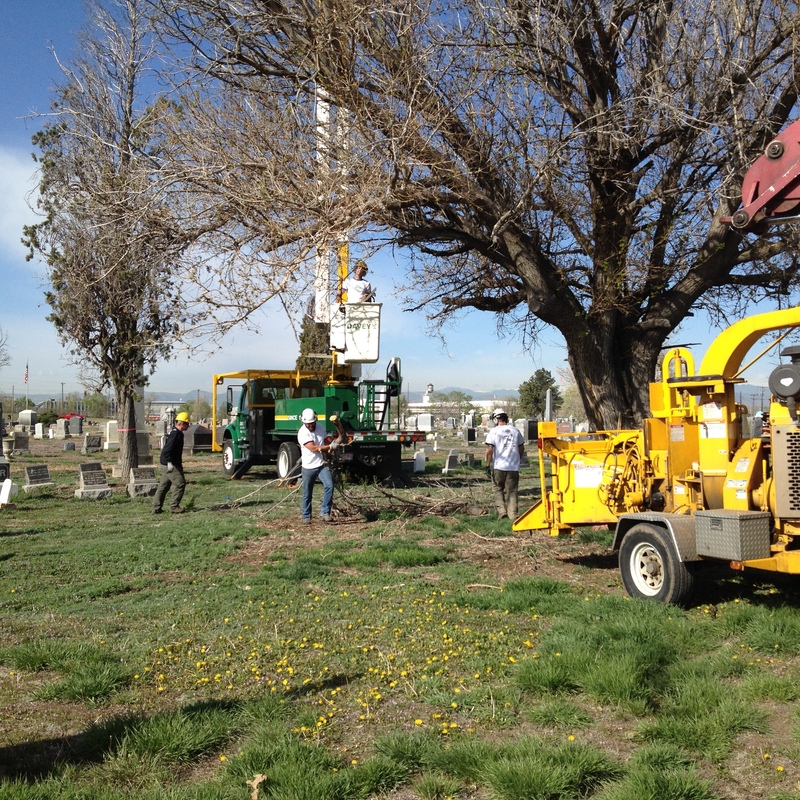 Swingle Tree, Lawn & Landscape Company sent a crew to assist with tree removal. 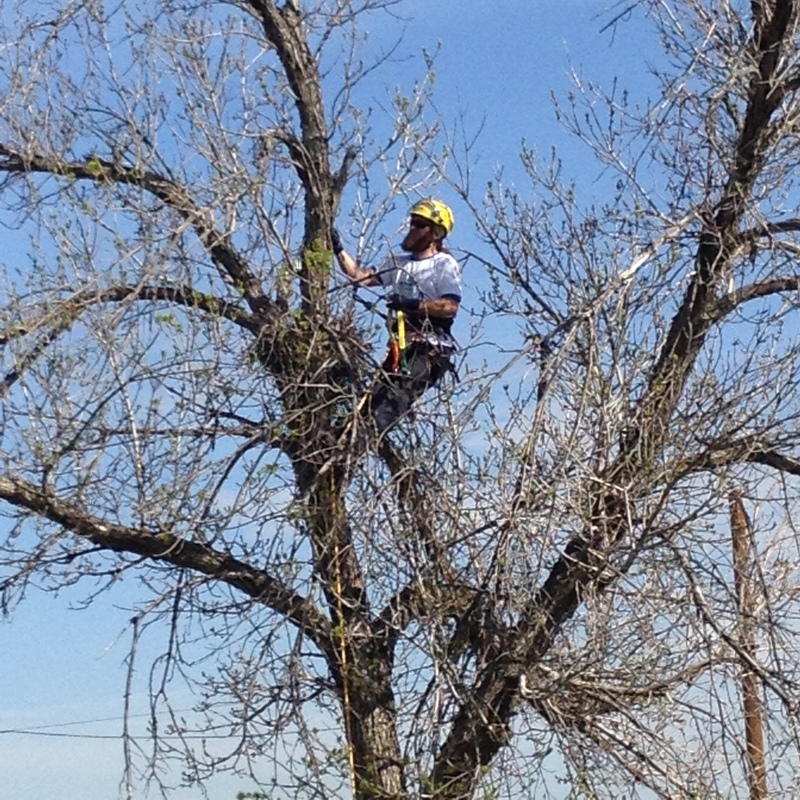 Arborist removes branches from dead tree. 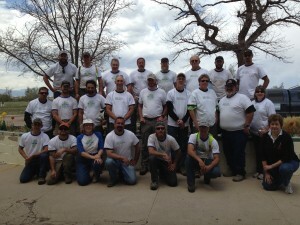 Most of the crew who volunteered on 4.24.15 at Riverside Cemetery. Davey Tree Expert crews remove a large dead tree. 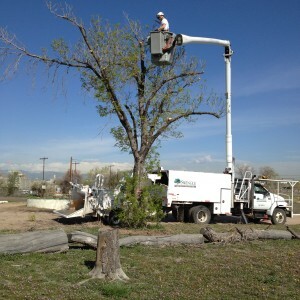 Mountain High Tree Service removes a dead tree.